The Glen Blog | I am a husband, father, grandfather, friend, business owner, traveller, Harley rider, citizen, patriot, gun owner, politically eclectic person of strange personal habits. I support police, trust no politicians, and can argue any side of an argument just to amuse myself. People love me or hate me and those that are in-between don't know me. Wow, the uk is run by idiots! 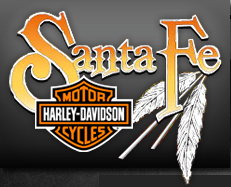 So I spent the last few days helping to bring some Harleys from Waco Texas to Santa Fe NM for Santa Fe Harley-Davidson. Long trip down and longer trip back. 12 hours to get there from SF. On the return trip, I was to ride a Road Glide back. The first day was OK, but it started to get cold, so I stopped in Lubbock for the night. Now I’ve stayed in some sketchy motels in my travels, but this Motel 6 was at the bottom of my sketchy list. Leaving Lubbock at 5:30, I road a few hours before stopping for breakfast. Drizzle all the way, but not the worst of the day. Leaving McDonalds after breakfast, I made about 5 miles before the rain started making me uncomfortable. It got worse as I progressed on the route home. I was trying to take US 84 home, but I lost 84 somewhere on the way. I stopped again for a cuppa and decided to take US 70 west since a State Highway Patrol Officer told me that route was nice. No, he did not give me a ticket, we sat near each other drinking coffee. I eventually picked up 84 again and gassed up before I passed into NM. Weather got worse. The farther north I got, the colder it got. Soon it became rain mixed with snow ❄️! More fun than I was prepared for! Feet frozen, gloves soaked and fingers frozen, rain suit was breached by the volume of wetness and the wind.